Stock indices are scaling new peaks on the leg-up given by abundant liquidity. It would now be hard for retail investors not to get carried away by this seasonal upswing. After all, there is easy money to be made when the bulls are skipping and charging ahead. But a reality check would show one that all is not that well in the stock market. Despite the indices’ record-breaking run, many investors would have rather found a hole in their portfolio than a bulge. The story would be the same for those who invest in equities through mutual funds. Equity diversified funds haven’t done well this year despite the so-called flare up in the market post- correction. The reason is simple. As you may already know, the indices are being pushed up by a handful of stocks. A broad-based rally in stocks is still sometime away. This has hurt most indivdual portfolios and mutual fund schemes barring those holding the select set of stocks. In such a situation, the best course for an investor is to bet on stock indices which are going up in the current rally. That will esnure that your wealth moves up in tandem with the rise in indices. Investment on the indices are made through exchange traded funds (ETFs). An ETF is linked to an index, say Sensex or Nifty, and it blindly follows the composition of that index. The ETF is traded like a stock on the exchanges and its value changes constantly with the index’s up or down moves. Becasue of this many consider ETFs to be lazy, passive funds compared to actively managed funds which give superior returns. At least that’s the concept. But in the last one month, many investors would find that their ETFs have done well but their actively managed funds haven’t kept pace. This has happened not because the fund managers are inexperienced. But the skewed composition of the indices, in which a few stocks dictate the overall index movement, has beaten even the best of fund managers. That is the reality. Let’s look at the composition of Nifty 50, a benchmark index. On this index, financial services has a weightage of 37.09 per cent, energy has 15.01 per cent weight, information technology has 13.27 per cent and automobile has 8.47 per cent weight. Together they command 73.84 per cent weight. If the rupee weakens, stocks of PSU banks will come under pressure, as that would hit their corporate borrowers’ ability to service debt and also prod the central bank to raise interest rates to stem ‘imported inflation.’. However, then two IT stocks, Infosys and TCS, which benefits from rupee depreciation, will help the Nifty absorb the shock of the fall in bank stocks. In the financial services space, HDFC twins—HDFC and HDFC Bank—have a weightage of 17.18 per cent. Their business models are so framed that they hardly have much negative correlation with a falling rupee. They are retail focussed banks with the best operational efficiencies and forex exposure. So when the PSU banks come under pressure, financial services companies like HDFC and HDFC Bank are happily going about with their business and their stocks reflect that. Similar is the case with oil stocks. If the oil prices rise that will have a broad-based negative impact on the economy, and hence on bank stocks as well, but it will benefit oil producers with high weightage on the Nifty, like Reliance Industries. 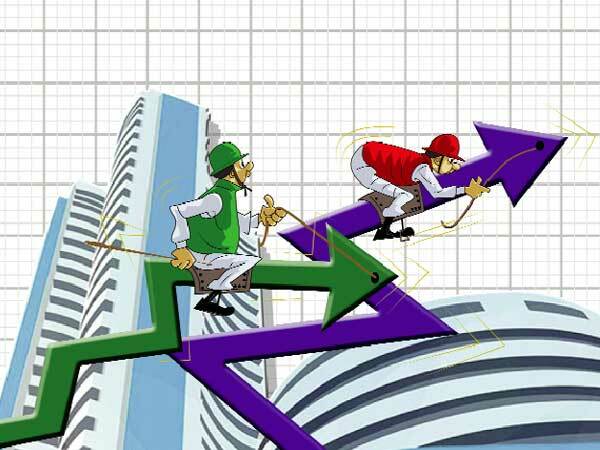 But when oil prices come down and the rupee consequently strengthens, automobile stocks and bank stocks will move up and cushion the fall in IT stocks. So, the next time you jump into the stock market because Nifty and Sensex are soaring or get out because the benchmark indices have crashed, think whether stock you buy or sell has anything to do with the index. It is to be remembered that stock investment is all about buying a company or a business and the stock may or may not have a strong correlation with the movement of indices. It is not necessary that when the index is doing well the stock should also do well. An index can do well for different reasons at different points of time, but the stock will do well only when the underlying business of the company is doing well. Coming back to ETF, the debate about the merits and demerits of ETFs and actively managed funds has some interesting aspects. Statistics is such a deceptive subject that just the change of one number can transform what appeared to be a convincing and fact-based story to a terribly concocted story. Depend-ing on the period and specific date from which the data is drawn, it can be proven that investing in active fund had been more lucrative than in passive funds, and vice-versa. But one doubt to be cleared here is that how many mutual fund schemes have outperformed their benchmark indices consistently over a period? Especially, when the market goes through corrections most schemes end up under-performing. One cannot really fault the fund manager for this poor show. Rather the blame should go to the guidelines the fund managers are supposed to follow. Anyway, it is not easy for a retail investor to figure out which scheme is going to give the best returns. In such circumstances, what an investor can do is to have both passive and active funds in one's mutual fund portfolio. Another reason why ETF need to become an integral part of one's portfolio is the changes made by the markets regultor in the classification of mutual fund schemes and the stipulation of where and how the money collected should be deployed. With the new rules, there is high probability that a certain percentage of the money coming into the domestic mutual fund houses would find its way into large-cap and liquid stocks that are part of the indices. So, come what may, a part of the huge inflows into the domestic funds would go into buying HDFC Bank, TCS, Infosys and RIL and that could lead to ETF linked to the benchmark indices outperforming. Similarly, the money coming into mid-cap schemes is bound to go into relatively bigger and liquid mid-cap stocks which form part of a mid-cap index. This will happen because the fund manager would like to take exposure only to liquid mid-caps, so that if at anytime he has to raise the cash level for unforeseen redemptions, he can sell such stocks without suffering much price damage. Though ETF is an essential part of portfolio balancing, your investment advisor is unlikely to tell you to have an ETF on your portfolio. Most likely, he will confound you with a question whether you expect to get double-digit returns from an ETF? True, in most years, returns are not in double digits, but an ETF protects your investment, as the index will anyway go up, if not today then tomorrow. Also, remember that an advisor makes much more money from an active fund than an ETF. Investors must also remember that relatively more money is made when one invests in a depressed market through systematic investment plans (SIPs). So never stop your SIP just because the market is correcting. But have an exposure to ETF as well.